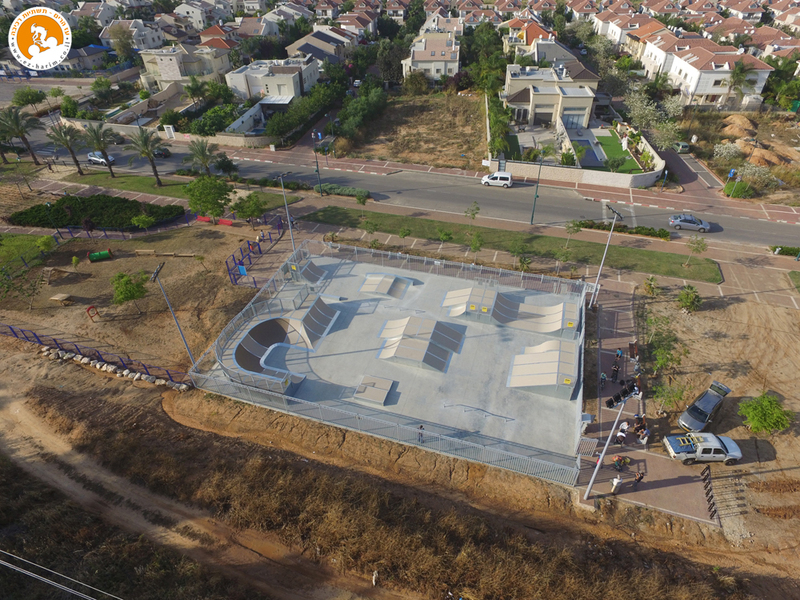 Our Company design-build Concrete Skate parks and Modular Skate Parks, we are the official dealer for "Rhino-Ramps" Israel. 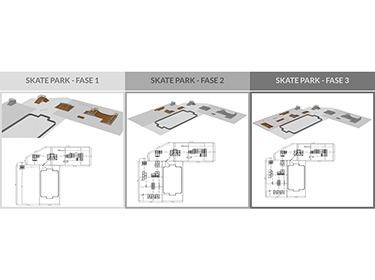 With our modular skate park system, we can design and construct every imaginable layout, for every budget, to fulfill the wishes of both skaters and communities. 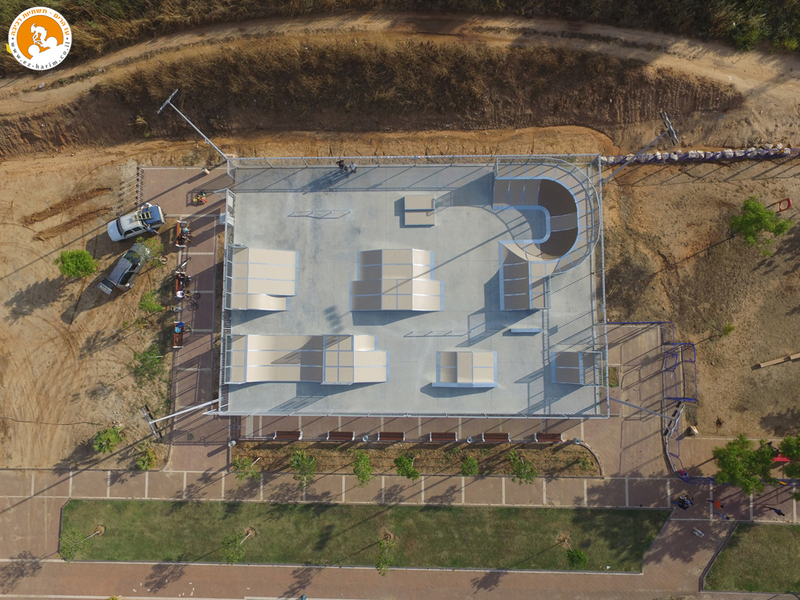 All of our skate parks are designed by skaters for skaters and adhere to the most stringent engineering and safety norms for skate park construction in the world: the EN standards. 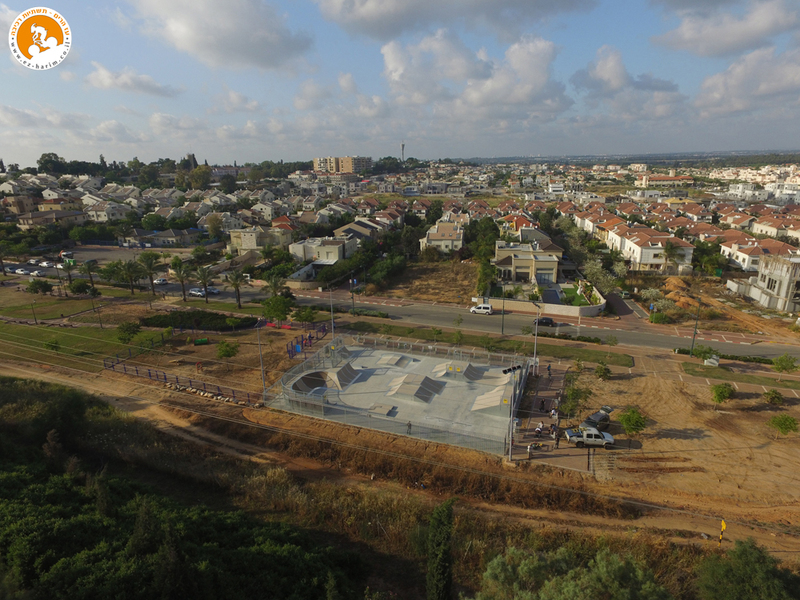 Years RHINO has been producing world class skate parks. 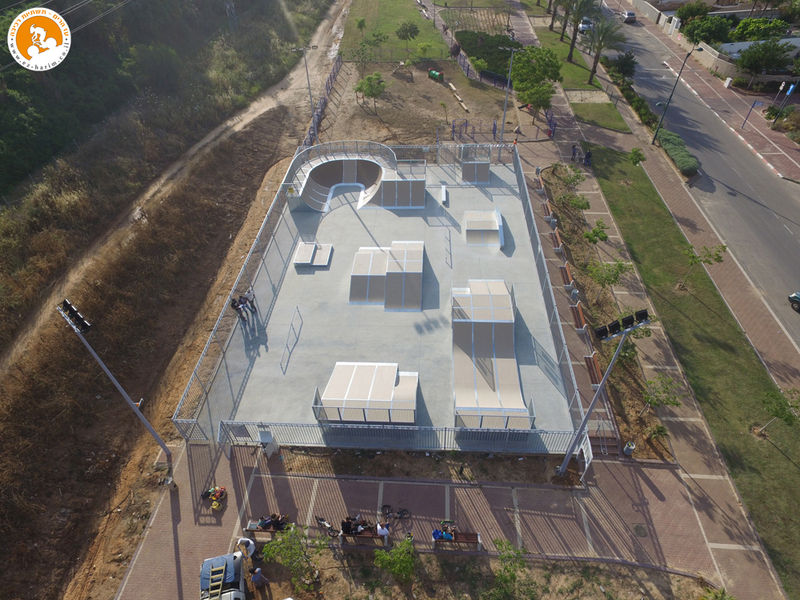 RHINO skate parks world wide. Years warranty on RHINOTOP composite skate surface. 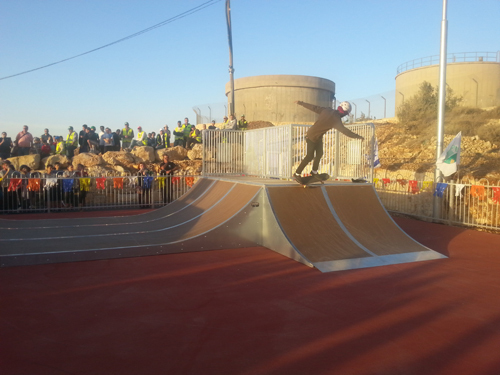 Countries where you can find RHINO skate parks. Sun panels avoid 130.000kg CO2 per annum. All RHINO components are 100% recyclable and produced with 100% green energy. 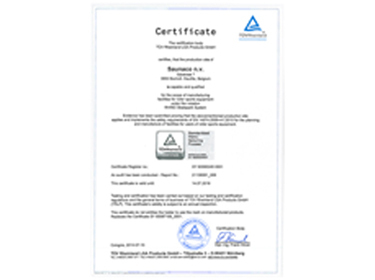 TUV certified to EN standards. Worlds quitest ramps. 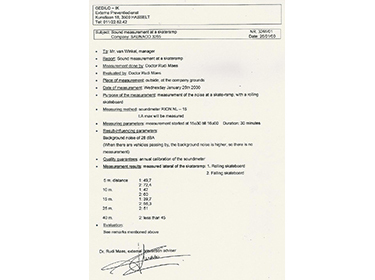 Scientifically tested to a decibel rating below average office noise 50 db. 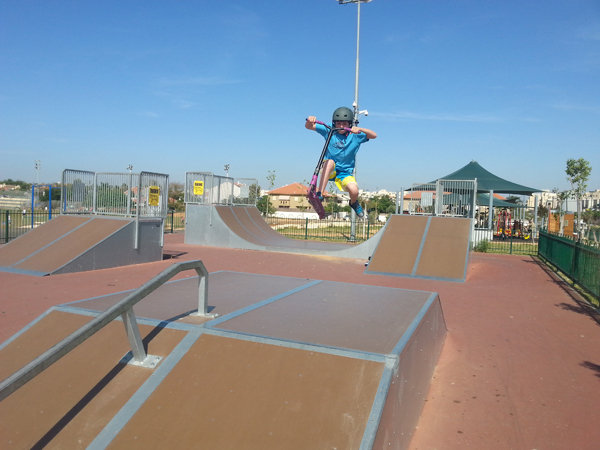 Rhino is a member of the CEN/TC 136/WG 12 (European Committee for standardisation) and serves as an expert advisor developing new EN safety norms for skate parks. 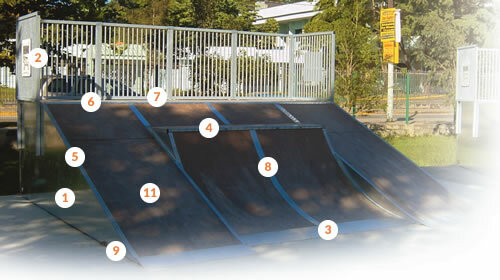 Rhino is a member of SPAUSA (Skate park Association of the USA) and was the recipient of its Innovative Product Award. 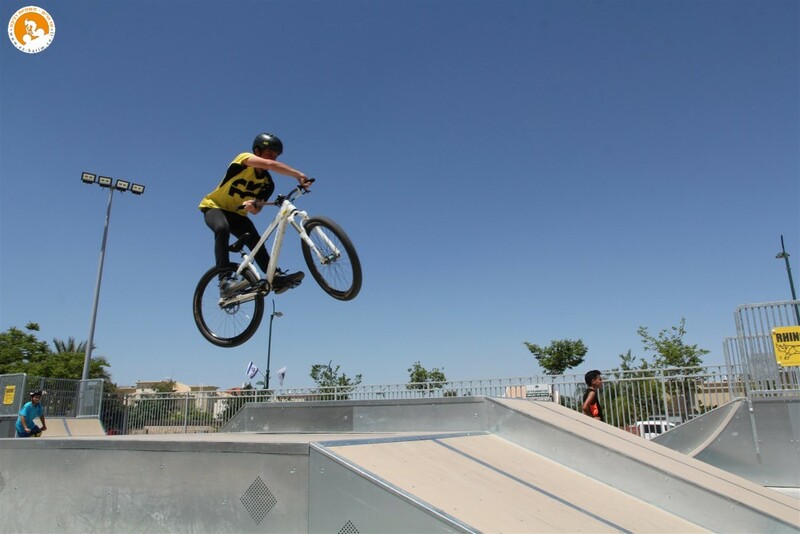 Our composite construction gives the skaters the solid ride and feel they require to pursue their sport. 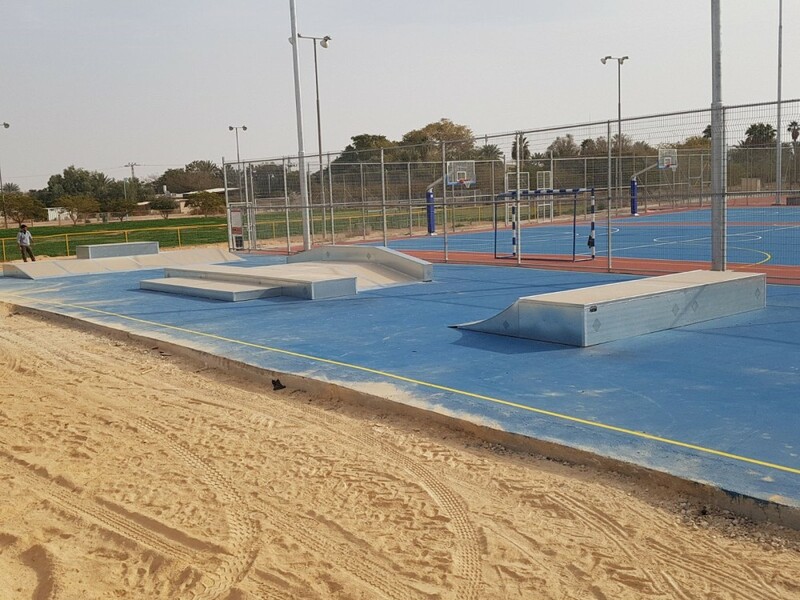 Our galvanised and stainless steel finish delivers the low maintenance and long life that public works projects demand from the toughest neighbourhoods to the most extreme climates of the world. Heavy duty, hot galvanised steel safety rails, built to last for ever. 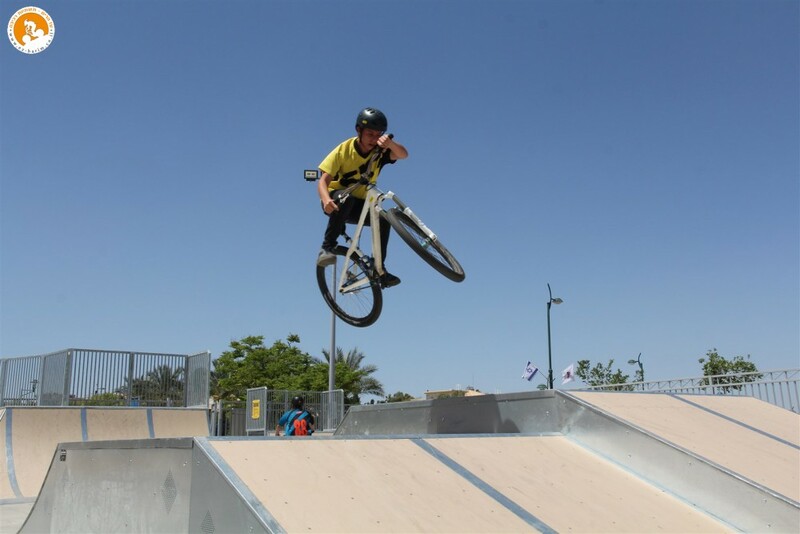 Vertical solid bars contain flying skateboards and (unlike horizontal pickets) they are very difficult to climb. All inclined outside edges are protected by rounded (5 mm (1/4")) galvanised steel profiles mounted flush with the skate surface. Offered exclusively by RHINO, this unique edge protection not only protects the surface edges, but also minimizes the effect of an impact on the skaters. Hot galvanised 3 mm thick steel tube to grind on. 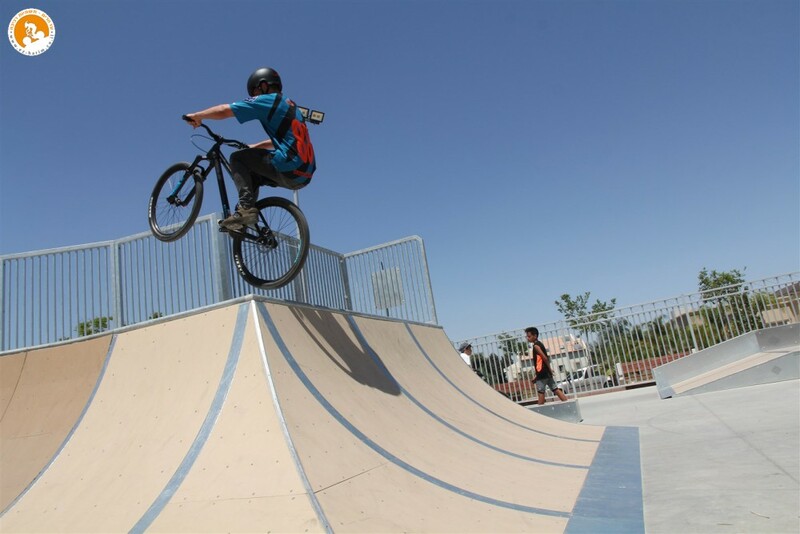 The surface behind this coping is protected with a steel grindplate, BMX pegs can not damage the surface. Hot galvanised steel toeplates. The smoothest on the market. Our approach angles are smaller than any competitor. 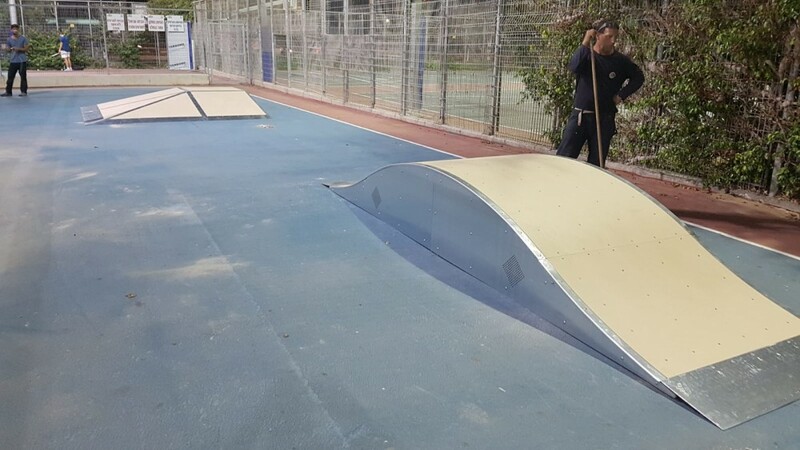 All the transitions of our ramps are protected with a galvanised steel transition plate, mounted flush with the surface. 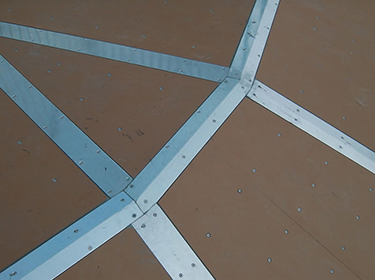 With no gaps or sharp edges, our transitions skate smoother and safer than our competitors. All vertical seams in the riding surface are covered with a hot galvanised steel seam protection, mounted flush with the surface. This unique solution creates a smoother riding surface and protects the inside edges of the surface. The side panels are supported by 6 mm (1/4") HPL strips to allow a good ventilation and water drainage underneath the ramp. 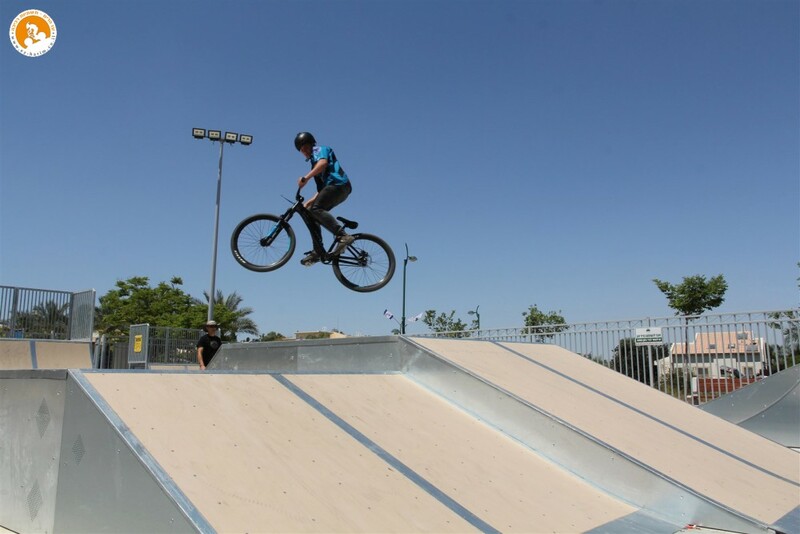 The quality of this specially developed riding surface is second to none. 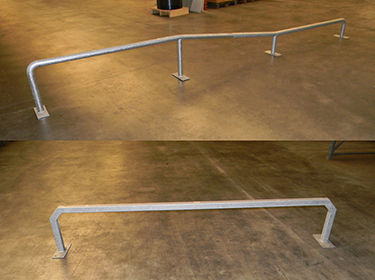 It's the dream of every skater combined with a durability comparable to steel. 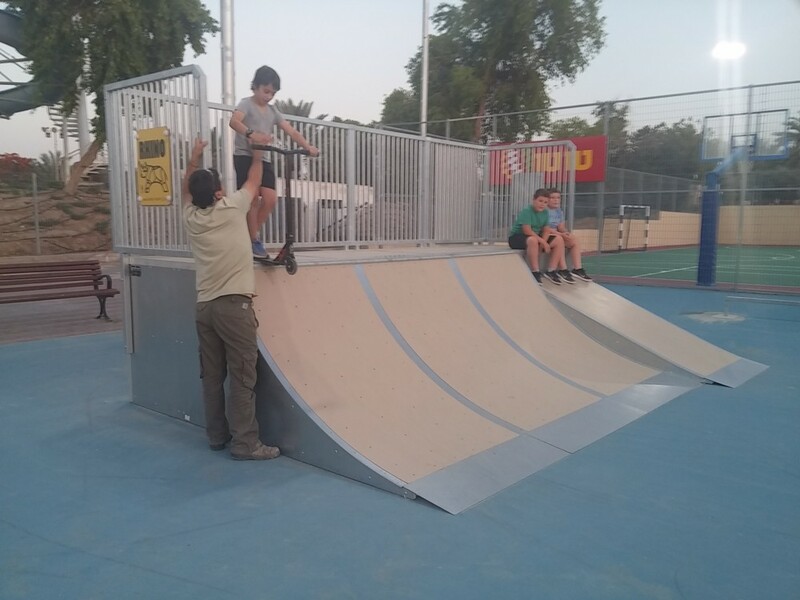 This surface has a perfect grip on the skate wheels, it's very impact and gouge resistant, it's fire resistant, absorbs no water and it doesn't burn your skin when you slide on the ramps. 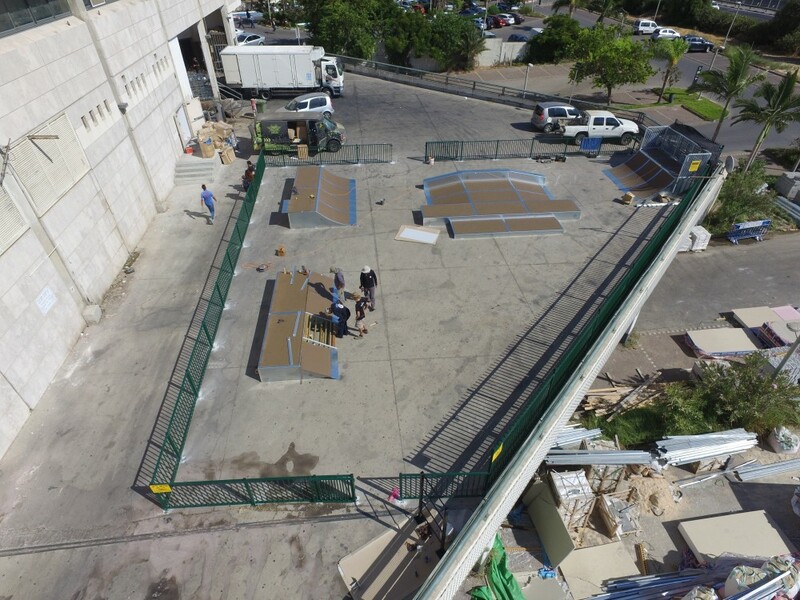 This surface, together with our unique subconstruction, gives the ramps the professional feeling the skaters are looking for. 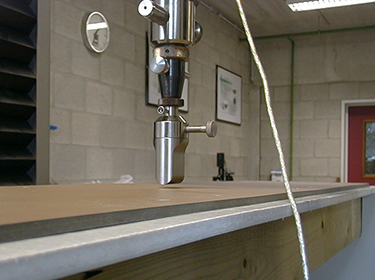 Under our riding surface you can find a glassfibre reinforced PP-underlay, to reduce the noise as much as possible. 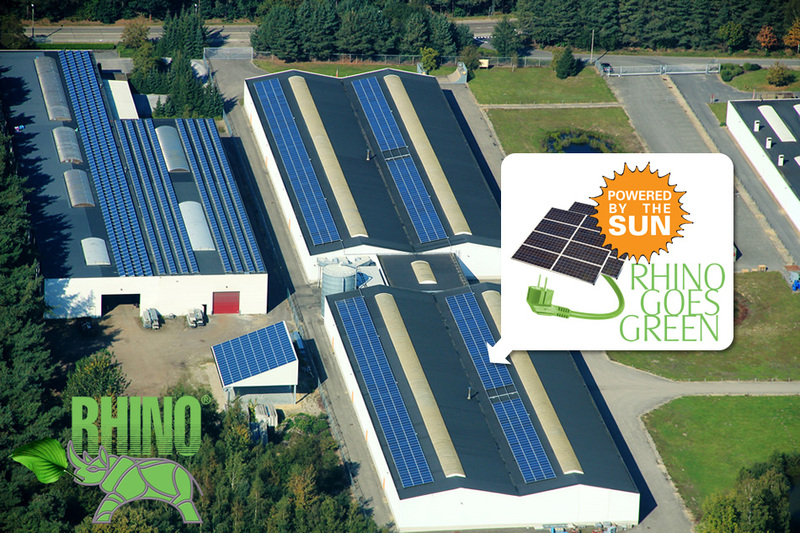 All the materials used for production by Rhino are 100% recyclable and our PV installation generates 215.000 KW green energy per year! Overproduction is sold to the public powernet.